I’m eternally thankful that Wyonegonic instilled in me the value of nature, friendship, risk taking and most importantly, group singing! I will always be thankful for the women in my life, young and older, that camp continues to provide me with. From mentors to friends to campers, it is so important to me (and has been incredibly impactful in my life) to have so many strong, positive, and happy women in my life to look up to, share with, and mentor. . . I am thankful for reconnecting with the Wyonegonic community both on the shores and through social media. My time at Wyonegonic as a camper, CIT, and staff solidified my place in the world as a strong woman surrounded by dynamic and caring friends. 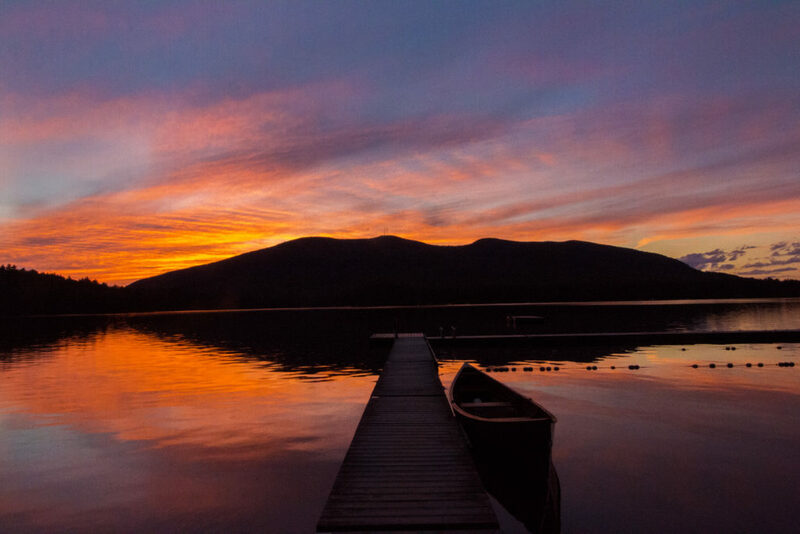 My time on Moose Pond cemented my relationship with the beauty of being outdoors and connecting with nature. I am grateful that I have experienced the magic of Camp that now ripples through my family as well. I’m thankful for friendships that began over 50 years ago on the shores of Moose Pond and rekindle instantly when we manage to meet up again, despite living on opposite sides of the continent. I am thankful for the immense privilege of being able to come to camp and the generations of Wyo Women who have been and continue to be my role models. I’m also thankful for being gifted the skills and knowledge to be to think that “I can” when faced with tough physical and mental challenges. The friendships and family that Wyo has given me. It has allowed me to change the course of my life and I am now on a path I did not ever envision. . .
I’m thankful for enterprises that instill principles of sustainability. People who deeply appreciate nature and who think to themselves, “less than three saves a tree” and “leave a place cleaner than it was when you arrived.” Wildlife and nature are gifts and I’m thankful for those who preserve. . . I am also thankful for the wonderful staff who summer after summer passes on the Wyo magic and creates wonderful experiences for the campers. I am thankful for the wonderful friends that I made during my years at camp. Several of these friendships have not only lasted 30+ years, but they are now inter-generational as our children have formed incredible connections with each other. 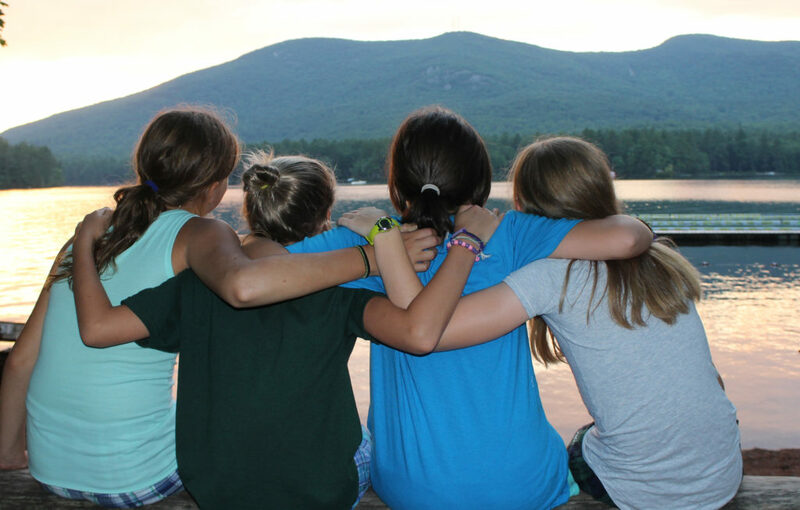 A camp friend is like no other – it truly is the family that we choose. . . In over 100 years, just two families have owned and directed Wyonegonic two generations of Cobbs and two generations of Sudduths.